Chris Evans in Avengers: Infinity War, likely his penultimate appearance as Captain America. 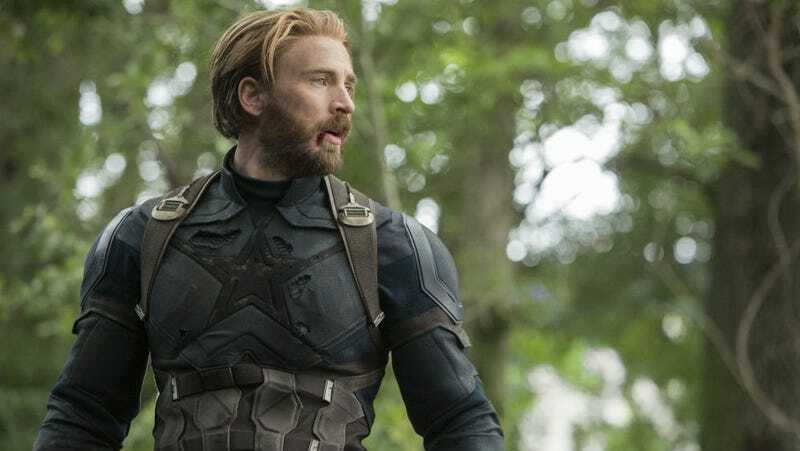 It’s no secret that Chris Evans is almost certainly done with playing Captain America after Avengers 4. The topic has been discussed ad nauseam for a while now. 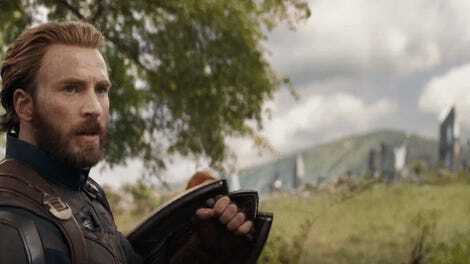 Today, though, Evans announced he’s done filming Avengers 4—and made it sound very definitive that it was the last time he’d hoist the shield. You don’t have an “emotional day” or tweet something like that if you are coming back in a few years. No, it seems like Captain America—or at least the version that has Chris Evans playing him—is done in the Marvel Cinematic Universe. Of course, that makes you wonder about the events of Avengers 4. Does Cap die? Does he just give up the mantle? Obviously we have no idea but we can speculate about it for the next seven months. Evans first played Cap in 2011's Captain America: The First Avenger and followed it up in 2012's The Avengers, 2013's Thor: The Dark World (briefly), 2014's Captain America: The Winter Soldier, 2015's Avengers: Age of Ultron, 2015's Ant-Man (in an end credits scene that was really from...), 2016's Captain America: Civil War, 2017's Spider-Man Homecoming, and this year’s Avengers Infinity War. Wow. Are We Sure Chris Evans Isn&apos;t Actually a Government Supersoldier?